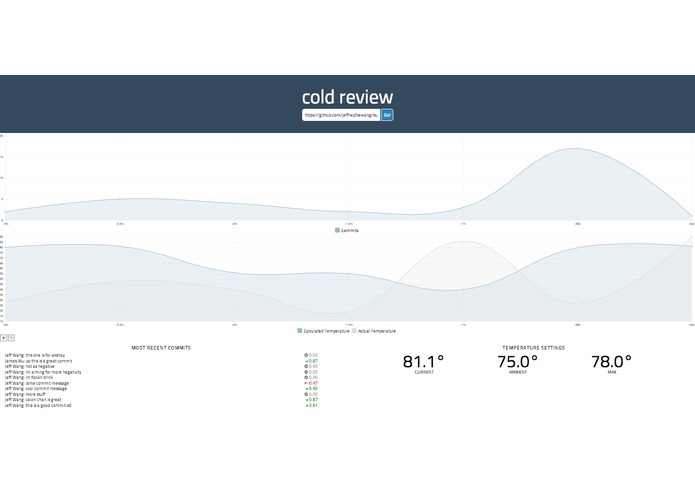 Maximize the productivity of your team with Cold Review. By simply installing a Nest Learning Thermostat in your office, you can motivate your team to push higher quality commits more frequently. 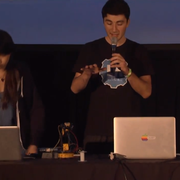 We analyze both quantity and quality of your team's commits. Your team is encouraged to be happy through gentle discouragement via Cold Review's climate control. Good code comes from happy coders, and happy coders come from Cold Review. Cold Review also comes with a web interface to easily monitor and track the current status of your working repository. Is a team member dragging everyone down? Now you'll know! Cold Review is safe, allergen-free, and completely humane. Probably.